As the first commercial deployments of 5G start to appear, the stage is set for consumers finally to find out what the powerful next-generation mobile standard promises can bring: an ambitious and far-reaching technological advance that transforms virtually all aspects of human activity-how we experience life, conduct business, create goods, and build societies. In its latest complimentary white paper, "The Promise and Potential of 5G," business information provider IHS Markit (Nasdaq: INFO) explores the opportunities and challenges surrounding the upcoming global rollout of new 5G wireless networks. Without question, 5G is helping set the stage for incredible change, but it remains a confusing landscape, with varied and sometimes conflicting interpretations of what 5G is and what to expect from it. This confusion is impacting not just consumers but also complicating the industry's ability to measure itself against a standard set of 5G expectations and requirements. According to the white paper, 5G will improve existing services and enable new use cases, such as driverless cars, immersive entertainment, zero-delay virtua reality, uninterrupted video and no-latency gaming. On the industrial front, 5G will be key to expanding and realizing the full promise of the internet of things (IoT), with the technology's impact to be felt in smart homes, smart cities and smart industries. "The marketplace implicitly understands 5G represents an unprecedented growth opportunity, with the initial smartphone rollout set to generate record shipment volumes," said Francis Sideco, vice president, technology at IHS Markit. "However, fewer people understand the iterative nature of major technology rollouts such as the one we are going through now with 5G-a process involving multiple major updates that will add new capabilities in the coming years. With each of these updates having the potential to significantly disrupt the market's competitive dynamics, it's critical for companies to clearly understand the implications of each rollout or risk falling behind the competition." Following initial sales of 37 million first-generation 5G smartphones this year, with initial shipments only now commencing, worldwide shipments will surge to 120 million devices in 2020, IHS Markit forecasts. This rollout will be the fastest ever for a new wireless generation, generating six times more unit shipments than previous record-holder LTE (News - Alert), over a similar timeframe. Benefitting from strong industry momentum and alignment, global 5G smartphone shipments will continue to rise in the coming years, reaching over 525 million devices in 2023. "Despite strong growth, the level of success among individual competitors in the smartphone and infrastructure market will hinge on their ability to shift their business strategies in parallel with the evolution of 5G," Sideco said. New 5G technical standards will eventually enable the creation of applications that could open new opportunities, inform new business models and transform everyday life for multiple industries and billions of users throughout the world. However, many of these capabilities won't be available in initial 5G rollouts, but instead will arrive in subsequent releases of the standard to be implemented over the next few years. Each of the releases will deliver new challenges and opportunities not only for the wireless industry but also every industry for which the new use cases are envisioned. To fully realize the potential of these opportunities, competitors will need to understand and capitalize on new capabilities even before they are fully introduced. The 5G standard's next release is already on the horizon, with the expected introduction of Release 16 in late 2019. The upcoming release will deliver highly desirable enhancements, including far greater reliability and peak data rates of 20 gigabits-per-second (Gbps) downlink and 10 Gbps uplink. "This next phase of implementation and rollout will trigger a race among mobile network operators to meet and take advantage of these performance enhancements," Sideco said. "The winners of this race are likely to gain a competitive advantage as they gear up for the next wave of growth." Future revisions will spur similar competitive battles, as 5G adds major new capabilities and expands into other markets beyond mobile communications, such as mission-critical applications and massive internet of things (IoT) deployments. 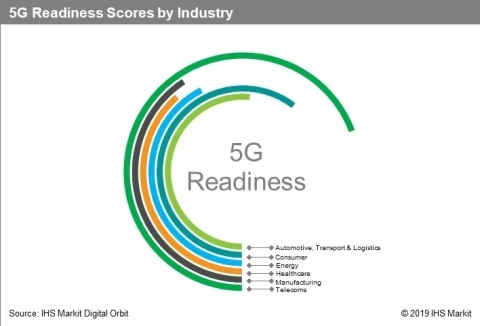 "For companies throughout the technology supply chain-from network operators, to smartphone brands, to industrial and automotive device manufacturers and electronics suppliers-it will become increasingly important to understand the changes brought by each phase of the 5G deployment and to be ready to capitalize on the latest capabilities to gain a competitive advantage," Sideco said. To learn more about managing the complexities of the 5G era, download the free white paper, "The Promise and Potential of 5G."